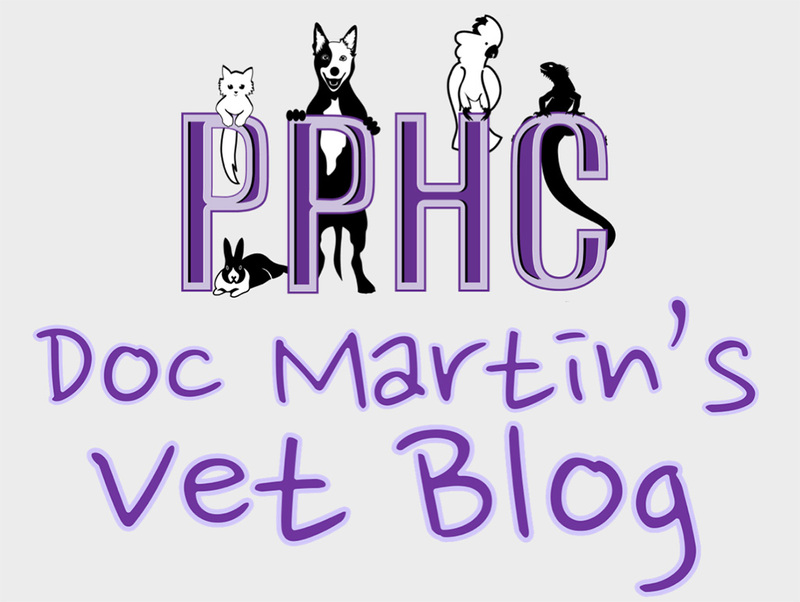 Doc Martin has provided answers to your frequently asked questions regarding veterinary surgery. 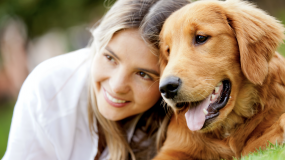 Our aim as your family veterinary office is to alleviate any concerns you may have regarding your pet’s surgery by addressing some questions commonly asked by pet owners prior to a pet’s surgical procedure. Why does my pet need preanesthetic blood testing? Discovery of a minor medical problem will allow your vet to adjust the anesthesia or IV fluids during your pet’s surgery, while detection of a serious problem will enable postponement of the procedure until your pet’s condition is treated. Even a simple bacterial or viral infection may pose enough risk to warrant a surgery postponement. Your vet will discuss with you the two levels of blood testing which are offered within our office. We typically recommend the more comprehensive blood test because it provides more information which ensures a safer surgery with less risk for your pet. Older pets and pets with an illness may require additional testing such as x-rays or electrocardiograms prior to surgery. Why can’t I feed my pet before surgery? Performing surgery on an empty stomach is extremely important to reduce the chance of regurgitation and aspiration of stomach contents during and after anesthesia. Food should be withheld for 8-10 hours before your pet’s surgical procedure. A small amount of water can be left down for your pet the night before surgery and picked up first thing in the morning. Is the anesthesia safe for my pet? 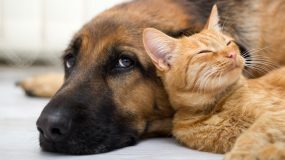 General anesthesia given as a gas or intravenously is the safest and most common method of administering anesthetics in pets. 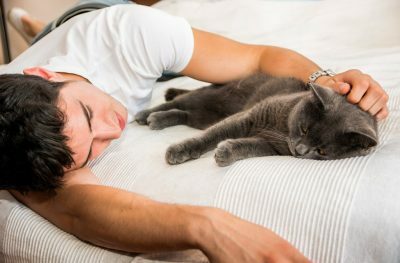 While gas is the most common method of inducing general anesthesia in the past, an intravenous injection isalso used with similar results, allowing your pet to fall asleep and awaken smoothly. Modern anesthetic monitors also reduce the risk involved with surgery, making surgical procedures on pets safer than ever before. Our primary gas anesthetic is sevoflurane, which is one of the safest available to veterinarians. It is very responsive to adjustment so corrections can be made rapidly during surgery. It also is primarily removed by the lungs, so it has minimal negative effects on the liver or kidneys. At Plantation Health Center, we perform a precautionary thorough physical examination on your pet prior to surgery, Anesthetics are only administered after your pet has been cleared for surgery. If your pet does have a health concern, we will adjust the type or amount of anesthetic used in the procedure to fit the needs of your pet. Why does my pet need an IV catheter and IV fluids? Anesthesia can cause low blood pressure and dehydration, therefore placing an IV catheter and administering IV fluids are highly recommended during surgery. Because your pet has been unable to drink for hours prior to, during, and after surgery, it is important to replenish fluids to avoid dehydration. 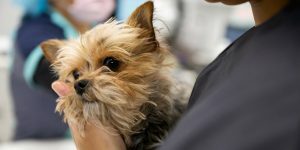 Your vet will likely clip your pet’s fur around the catheter site in order to avoid infection and keep the site clean. Is my pet monitored during surgery? Your pet’s ECG (heart electrical activity), heart rate, blood pressure, and blood oxygenation levels will be closely monitored during surgery. Your pet’s body temperature will be maintained during and after surgery through the use of warm blankets or heating pads. 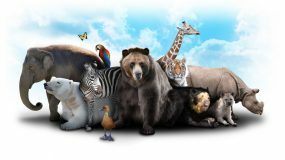 Is there risk involved in my pet’s surgery? The simple answer is yes. As with humans, every surgery, no matter how minor, involves some risk. Having an experienced veterinarian who takes precautionary measures, such as pre-anesthetic blood testing, close monitoring during and after surgery, and the use of IV fluids, will lessen the risk of complications occurring during or after surgery. Your pet’s health is our top priority and we take every precaution to ensure that the risk involved in your pet’s surgery is as low as possible. Will my pet experience pain during or after surgery? Animals experience pain just as people do, so although your pet may not show obvious symptoms of discomfort, a surgical procedure will involve pain. We require that any pet undergoing a painful procedure be given pain medication. Type and amount of pain medication will be dependent on how serious or invasive the procedure is. Pain medication is often injected shortly before surgery, and during surgery, your pet may receive a constant rate infusion (CRI), a slow ongoing drip of pain relieving drugs which will allow a constant and even level of relief. Regional blocks may also be utilized to block the nerves responsible for the surgery site from transmitting pain signals. Numbing agents or injectable pain medication may be used after your pet’s surgery for immediate pain relief. For dogs: Oral anti-inflammatories will typically be recommended to be given at home for several days after surgery to lessen swelling and discomfort. The newer medications we prescribe are less harsh on the stomach and less likely to cause stomach upset. For cats: Liquid pain medications are often used, as cats are not able to tolerate standard pain medicines such as Tylenol, aspirin, or ibuprofen. Advances have been made recently, however, which allow for improved pain control in cats. Pain medication costs for your pet will vary depending on the size of your pet and the type of surgery performed. If your pet appears to be in pain, additional pain medication will be prescribed. Will my pet have stitches after surgery? Absorbable sutures, which are underneath the skin, are used for many of the pet surgeries we perform at Plantation Health Center. Absorbable sutures dissolve by themselves and do not require removal. Other pet surgeries, such as tumor removals, may require traditional skin stitches, while some procedures that are performed on areas which experience high movement or high tension may need surgical staples to ensure proper closure. All pets who undergo surgery should have a follow-up appointment to check the surgery site and/or to remove external sutures 10-14 days after surgery. Can I have other procedures performed while my pet is under anesthesia? If you would like to have an additional procedure performed while your pet is under anesthesia, please let us know in advance. Knowing ahead of time allows us to give you a cost estimate and allot the proper time for your pet’s surgery. What should I expect when I drop off and pick up my pet before and after surgery? Our staff will confirm your drop off time the evening before your pet has surgery (or Saturday for a Monday procedure). Feel free to ask any questions you have concerning your pet’s surgery during this call. When dropping your pet off for surgery, plan to spend a few minutes (5-10) to fill out paperwork and confirm blood work decisions and other pertinent information. Our staff will contact you after your pet’s surgery to let you know how the procedure went and to confirm your pick-up time. When picking up your pet after surgery, plan to spend about 10 minutes with our staff to go over post-operative instructions and to ask any questions about home care after surgery. Please do not hesitate to call our office any time before or after your pet’s surgery with any questions or concerns you may have regarding your pet’s health or surgical procedure. 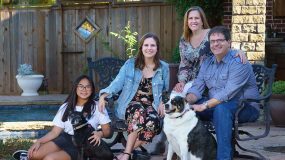 If you would like to learn more about Pet Surgery at the Plantation Pet Health Center, please call 972-731-0001 to schedule an appointment or complete an Online Appointment Request.